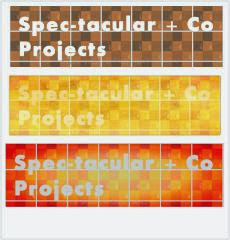 For the coming days, and thank you to all who view this blog, you are free to vote out Spec-tacular + Co Projects Revamp. Feel free to vote and say what you think. It effects us as a project setter too. However, thank you to the viewers. It has reached over 3000 views since last year's May - June from starting. NB2 with diary entries and a fantastic design view of outfits from shops helped with posting on this blog. Has videos, plus helps with updates from this blog to sharing with the public on Google Plus. Many ways to keep updated with this blog, so feel free to check them out. All of the platforms get updated from time to time so if possible, it's good to view them all.